Makes all your hair dreams come true! The Extensionist is a leading and award-winning hair extensions salon in the middle of London, specialising in hair extensions on a day-to-day basis. All our extensionists are highly experienced, educated professionals who will ensure your results look natural and your hair stays healthy. At The Extensionist we pride ourselves on our unique personal touch, attention to detail and outstanding customer service. We all know how important it is to look and feel your best, but for us, it is even more important that you leave our salon with a natural look that no one can believe is enhanced with the help of some extensionist magic. The Extensionist does not claim to be the cheapest. However, unlike many hair extensionists that offer low-grade human hair and don’t tailor the application to your particular needs, we offer a luxury service ensured to give you your desired result. We use only the most exceptional quality 100% human hair extensions, expert colour matching, a safe hair extensions application and natural looking results tailored to your needs and hair. We guarantee you will want to "whip your hair back and forth" as you leave our boutique salon with your new dream hair. The Extensionist provides a range of luxury, custom tailored hair extensions, using only the very finest, hand-picked Russian natural human virgin hair and European natural hair, available in 30+ colours and from 14'' to 30'' inches. We also offer one of the broadest selection of application methods in London including our most popular ones which are Micro rings hair extensions and Tape hair extensions. Hair extensions are all we do, every day, and therefore we have become experts on the subject! We help our clients make a significant and lasting improvement to their self-esteem and confidence, by providing them luxurious natural looking hair. Our hair extensions experts will guide you to the best application method for your type of hair and lifestyle. Apart from hair extensions services we also do hair colour, hair styling and plenty of other treatments all of which you can find at our price page — all our aftercare products provided by the best world famous brands such as Kerastase and Balmain.  We invite you to come in for a free no obligation consultation to find out what The Extensionist can do for you. The Extensionist's boutique hair extension salon is located in the trendy SW11 London.It is the perfect backdrop for you to get transformed and make all your hair dreams come true. We pride ourselves in our ability to expertly colour match any hair colour through blending or colouring the hair. We believe colour matching the hair extensions to your natural hair is one of the most critical elements to ensure they look as natural as possible. The Extensionist is a full-service salon. All our hair extension prices include fitting, cutting and styling. You can also add other services such as balayage, ombre and pastel hair colouring. Because on top of being experts in the field of hair extensions, we have also been hairdressing for decades, ensuring you get the best possible fully bespoke service. We work very closely with our premium hair supplier and ensure all our hair is ethically sourced. We use only the very best virgin Russian and European hair and have it all in stock. Therefore you can have your hair extension consultation and fitting on the same day, and we can add more hair, a different length or colour on the day if your requirements change. Our stylists are incredibly passionate about hair extensions and have decades of experience in the field. They have spent years in the industry perfecting the fine art of applying hair extensions and have a keen eye for details. Our stylist regularly lectures to others on various methods and have previously hosted seminars with some of the industry’s biggest brand names. We recognise that everyone is different and has different needs when it comes to their hair. At The Extensionist hair extension salon, we offer many various methods in order for you to find the one that suits your lifestyle and hair the most. We offer semi-permanent hair extension options such as tape hair extensions, micro rings hair extensions and pre-bonded hair extensions as well as clip-in hair extensions ensuring there is something for everyone. While hair extensions are our real passion, we are also trained hairdressers and offer other services such as hair colouring in order to be the one-stop shop for all your hair dreams to come true. This means that you can get your roots done at the same time you get your hair extensions re-applied saving you precious time (and ensuring no-one knows your secret). While we do offer other services, hair extensions are essentially all we do, every day! While other hairdressers might offer hair extensions as an add-on service doing a few clients a month, we do nothing but hair extensions day in and day out! By doing so many clients a week, it has helped us become experts in what we do and ensure you get the best possible bespoke service and natural result at our London hair extensions salon. For an added fee we also offer a VIP service which means that we come to you! That means we can make your hair over in the comfort of your own home. So, in case you have trouble getting to us, get a babysitter or just want that VIP treatment without even leaving the house, we have the solution! We cover most areas of central London zones 1-2.